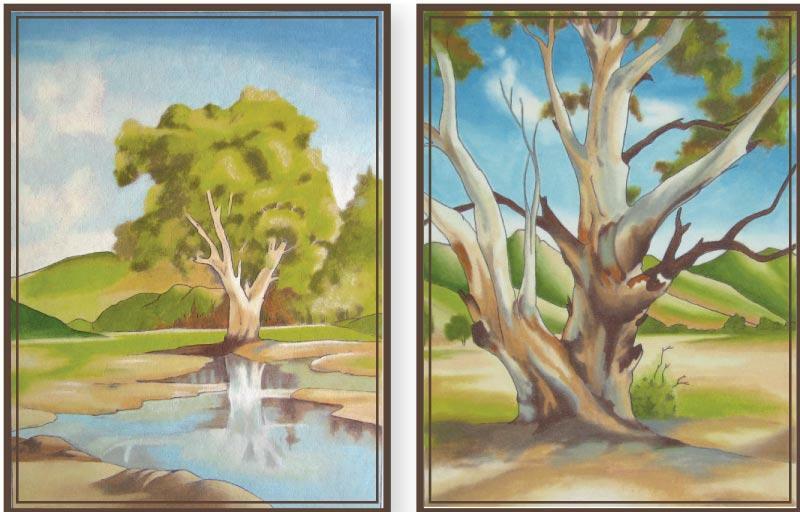 This very pleasant set-of-2 relaxing scenes from rural Australia shows a gorgeous old gum tree and a lovely reflection of the scenery in the water-pond. Preshaded on non-woven and each picture measures 33 x 25cm. Requires colours: 1, 12, 14, 23, 24, 66, 67, 73, 75, 76, 84, 85.